Tracing its history to 1894, the law firm of HeplerBroom LLC is one of the most experienced and distinguished law firms in Illinois. The Firm's commitment to providing quality legal services that are responsive, innovative, and efficient has enabled us to grow steadily over the years and to offer an ever increasing array of legal expertise to our clients. HeplerBroom LLC's trial lawyers handle cases in a wide variety of areas, primarily representing defendants in civil lawsuits including class action, pharmaceutical & medical devices, products liability, personal injury, asbestos & toxic tort, environmental law, employment & labor, medical & professional liability, nursing home law, insurance law, commercial & antitrust litigation as well as white collar criminal defense. 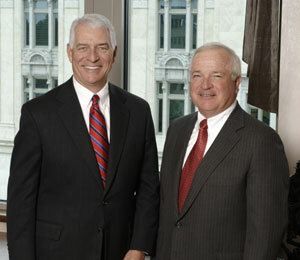 HeplerBroom LLC provides comprehensive representation for its business clients, from entity selection and formation to day-to-day management and employment issues, tax planning, contract preparation, real estate matters, environmental compliance, succession planning, and representation in mergers, acquisitions, and sales.